To say that Dimi Angélis has been around, is to state the obvious. When during the late nineties techno frst got hold in The Netherlands, Dimi was there to help shape the culture that would see it fourish. Promoting raves and warehouse parties in Amsterdam and putting his frst needle on a record back when ‘underground’ actually meant something, he has since built a career that spans two decades. His craftsmanship is based on emotion, honesty and the frm belief that music has the power to move and educate. Over time his path has taken him everywhere from Berghain and Awakenings to Cassette Club and Dekmantel. 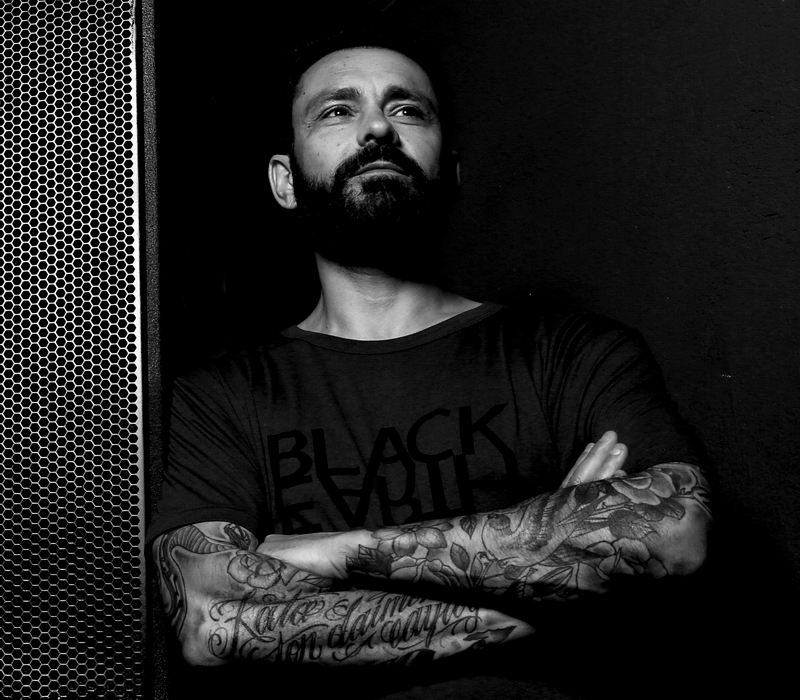 Besides playing records, Dimi is an avid producer. After teaming up with Jeroen Search in 2004, the frst half of his twenty-odd active years saw him release a string of sought-after EP’s and LP’s on Mission (6277/Axis), Stockholm LTD and their co-owned A&S label. Now, as the beginning of a third decade draws closer, Dimi’s been equally successful in putting out solo music on Construct Re-Form, Krill Music, Falling Ethics and his own ANGLS imprint. Much like Dimi´s ANGLS is a platform for open and straigthforward techno, helping to shape the genre for another two decades to come.